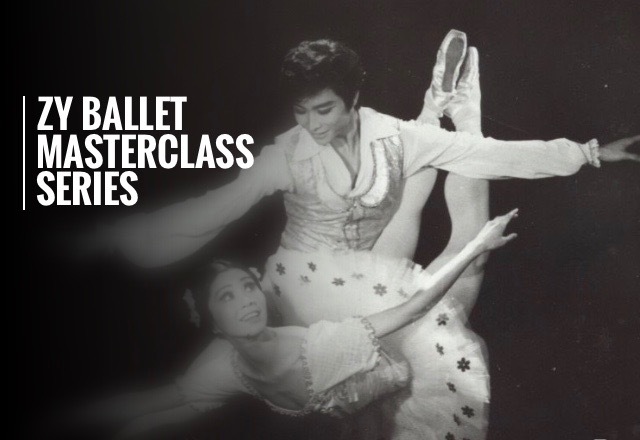 Zy Dance Studio’s Ballet Masterclass Series lets you learn from the best master trainers in the professional ballet world today. Director Zy Shi draws on more than 30 years of experience at the highest levels of dance in China and internationally to invite the masters he most admires and believes can enrich students’ ballet technique and passion. We’re very honoured to introduce our next master, WU GUOMIN for a one-night only Ballet Masterclass, exclusively at Zy. Wu Guomin is a veteran ballet master who holds the highest level of Artist and Teacher in China. He was a Principal Dancer in the Shanghai Ballet Company and performed with the Flanders Royal Ballet in Belgium during the 1980s. He later became Ballet Master of Shanghai Ballet Company and is a Director and Head Ballet Teacher of the Shanghai Dance School, training the next generation of dance stars (he was our director Zy’s first ever ballet teacher at the Shanghai Dance School!). Master Wu frequently leads China dance troupes for competitions and performances around the world. His students have won prizes at the China Taoli Cup, Varna, Prix de Lausanne and the Japan International Ballet Competition, and he won the Outstanding Teacher Award from the Shanghai Art Foundation.